Gingivitis affects upwards of 75% of Americans at some point in their life, but fortunately, with proper dental care, this early-stage gum disease can be reversed. 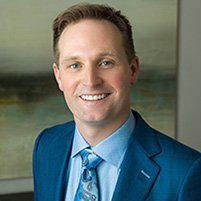 Scott Young, DDS in The Woodlands, Texas, is an experienced dentist and a Fellow of the Las Vegas Institute for Advanced Dental Studies. Dr. Young and his exceptional team treat adults with gingivitis, so it doesn’t advance to a more serious periodontal disease. If you have signs of gingivitis, the experts at Scott Young, DDS can help get it under control before it causes irreversible damage. Call or schedule an appointment online today. Left untreated, gingivitis can lead to periodontal disease and your gums can separate from your teeth. As the infection progresses, you can lose permanent teeth. If you have any of these symptoms for a prolonged period of time, it’s a good idea to make an appointment so an expert at Scott Young, DDS can assess your gingivitis and create an effective treatment plan to prevent it from causing irreversible damage. Depending on your symptoms and lifestyle, you can effectively treat gingivitis through proper oral hygiene, like brushing and flossing your teeth, and cutting back on smoking, if that’s a factor. Additionally, Dr. Young and his team provide deep cleanings that include scaling to remove tartar and plaque from above and below your gumline and root planing to smooth rough spots and remove plaque buildup from the roots of your teeth. Dr. Young may also prescribe antiseptic mouthwash and oral antibiotics to treat persistent gum inflammation. You can prevent gingivitis from recurring or getting worse through consistent at-home brushing and flossing, a diet of healthy foods, and regular visits to your dentist for cleanings. If you have gingivitis symptoms, call Scott Young, DDS, the leading dental office in The Woodlands, for an appointment. You can also schedule your visit using the online booking feature.